Things to do in Buckinghamshire. Layburn Court, Saxon Street, Heelands, Milton Keynes • Buckinghamshire Accommodation. 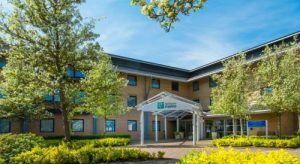 Eastlake Park, Tongwell St, Fox Milne, Milton Keynes • Buckinghamshire Accommodation. 156 West Wycombe Road, High Wycombe, Bucks •Buckinghamshire Accommodation. 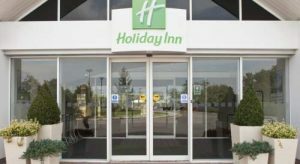 The Holiday Inn Aylesbury boasts 139 fully air conditioned modern rooms. As well as stylish and comfortable accommodation, the hotel also has a restaurant, bar and lounge. The impressive facilities also include the Spirit Health and Fitness Club, with its own indoor swimming pool. Whether you are relaxing after a hard day’s work or a long day spent exploring the region, the excellent leisure facilities provide a great way to unwind. The Academy meeting, conference and banqueting facility is on-hand for all of your business needs. The hotel’s convenient location means it has great access to the region’s major roads and Ascot Racecourse is just 55 minutes away, while Blenheim Palace is just 45 minutes away. Complimentary guest parking is also available. Pitstone Windmill It is thought to have been first built circa 1627 as this date is carved on part of the framework. This is the earliest date to be found on any windmill in the British Isles. it is quite possible the mill predates 1627. In 1902 the mill was seriously damaged during an enormous gale, damaging it beyond the price of economic repair. Around 1922 the derelict ruined mill was bought from the Ashridge Estate by a farmer whose land was close to the mill. In 1937 he donated it to the National Trust. However, it was not until 1963 that a band of volunteers began to carry out renovations at their own expense. 1970, after an interlude of 68 years, the mill once again ground corn. Take A Break Holidays takeabreakholiday, Buckinghamshire Accommodation.